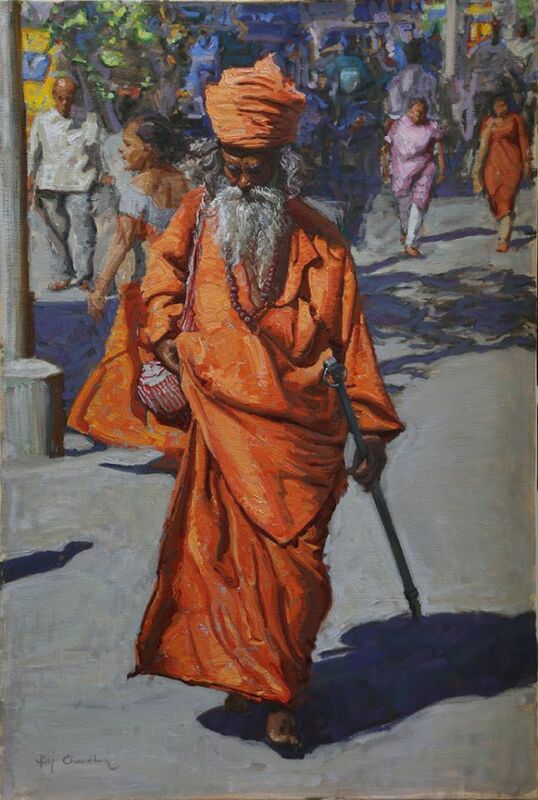 Raj Chaudhuri describes himself as one of the "New Orientalists", a traveling painter in the modern world. 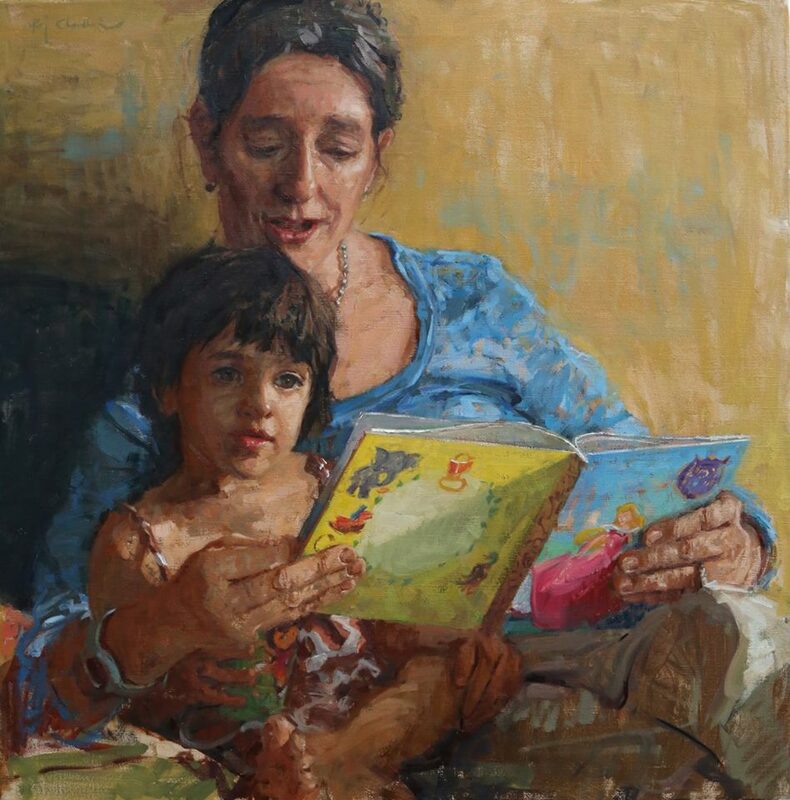 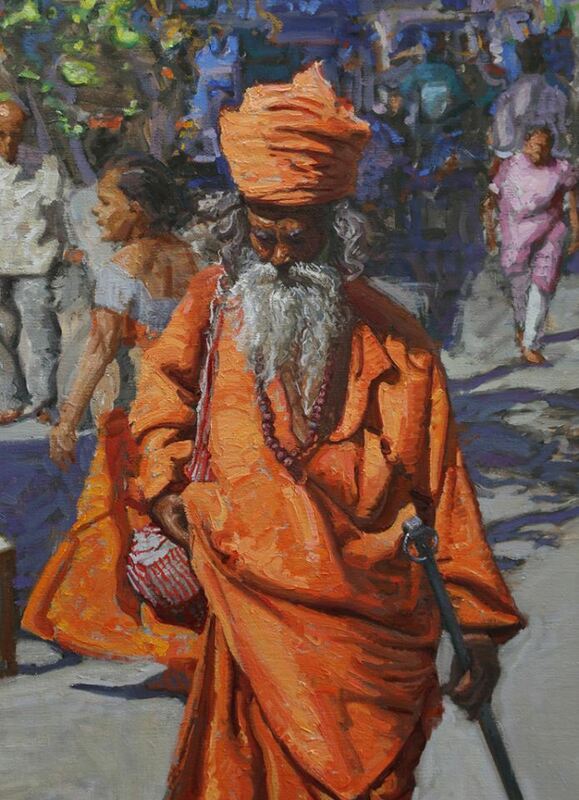 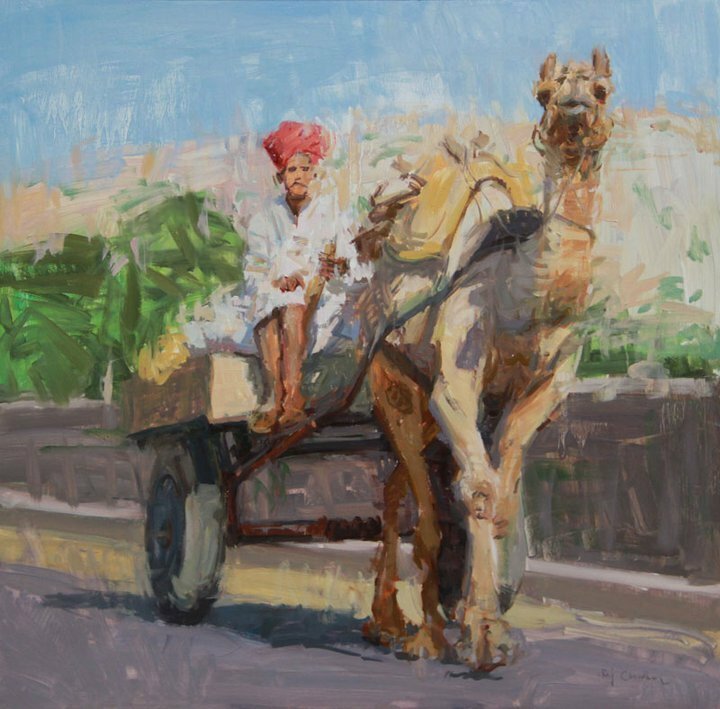 Storytelling is his focus, creating exotic imagery from ceremonial camel races to paintings utilizing bright flashes of color such as "Rajasthani Women Waiting for a Bus" which recently won Raj an Honorable Mention Award at the 15th Annual American Impressionist Society's National Juried Show. 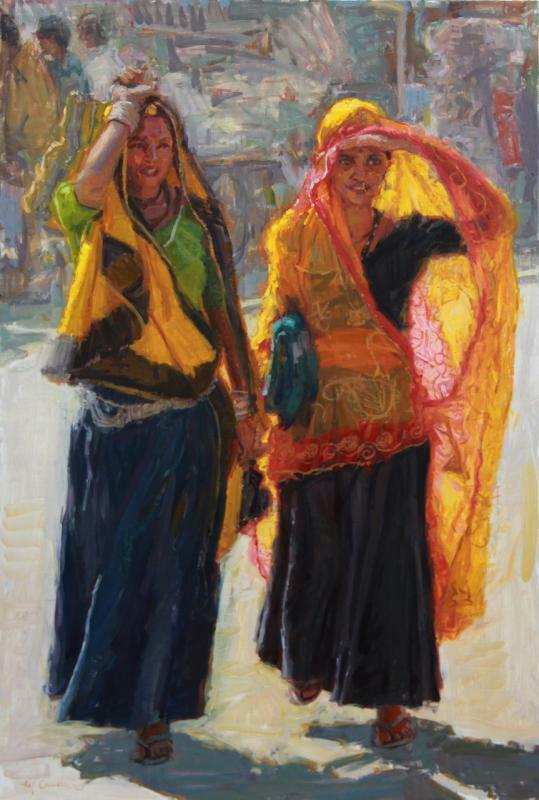 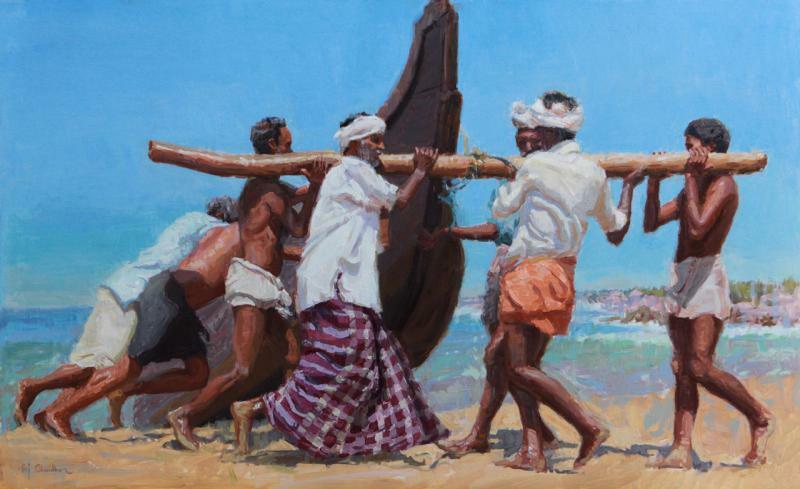 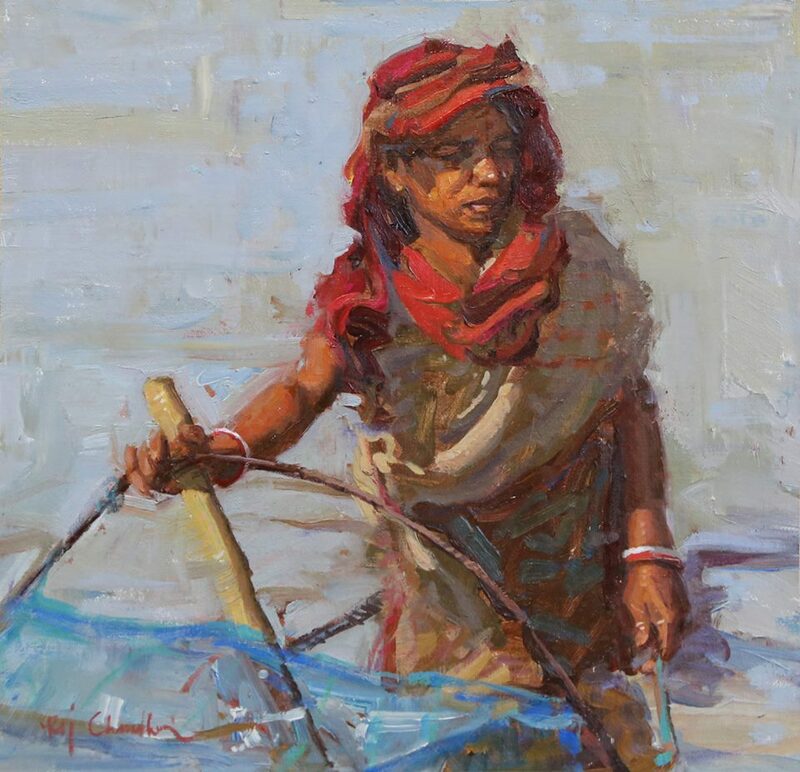 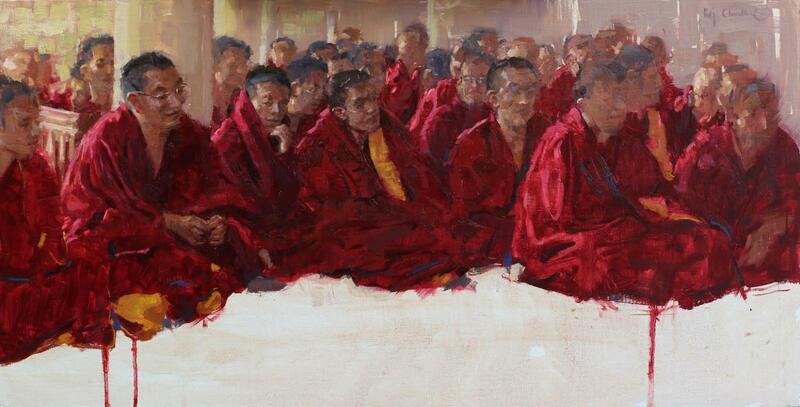 Raj Chaudhuri began painting in his youth in Calcutta, India. 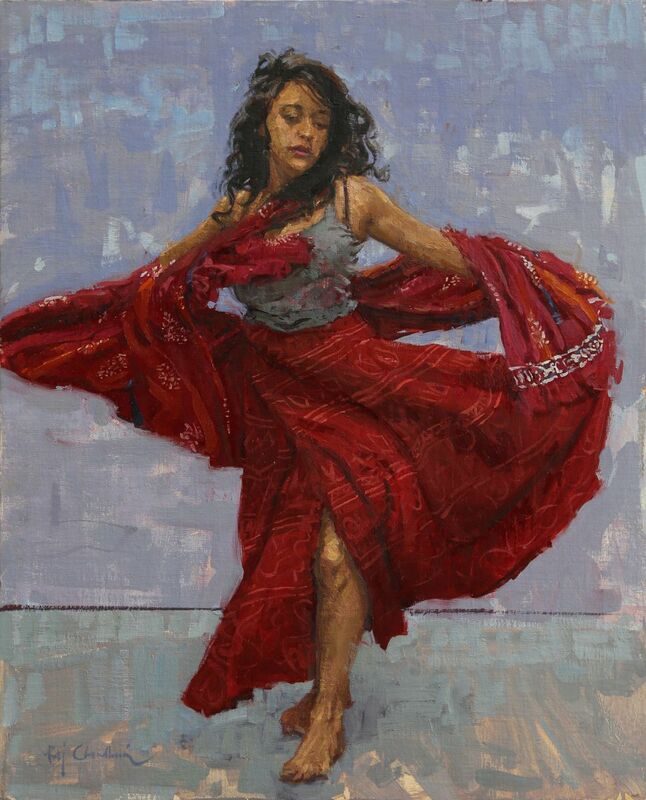 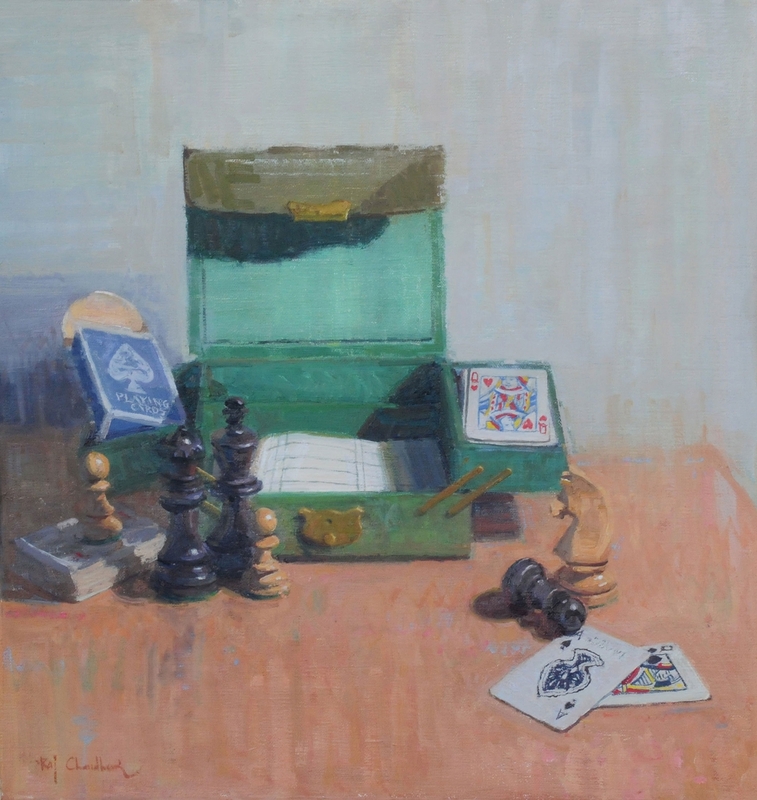 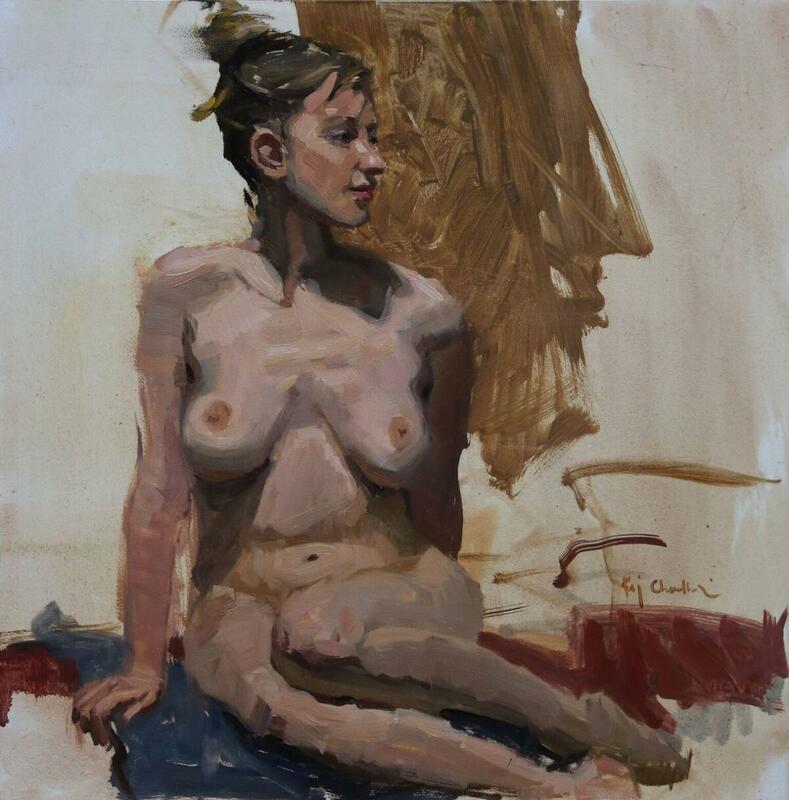 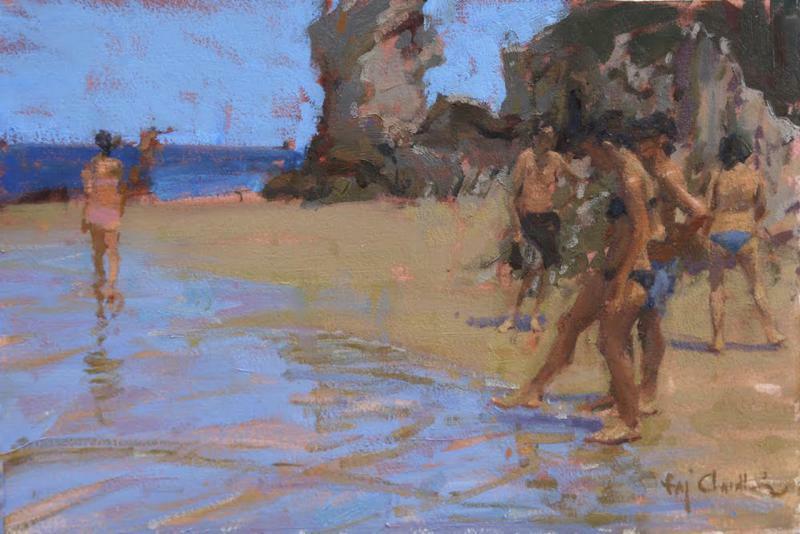 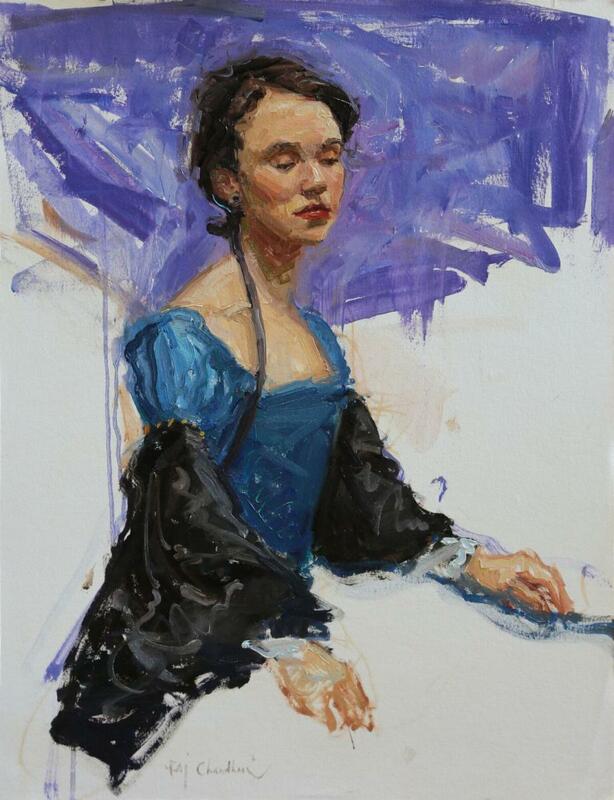 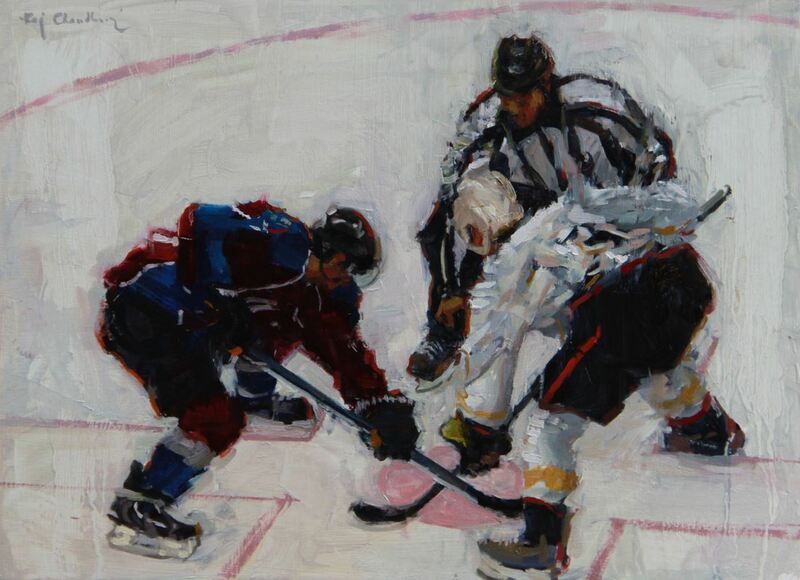 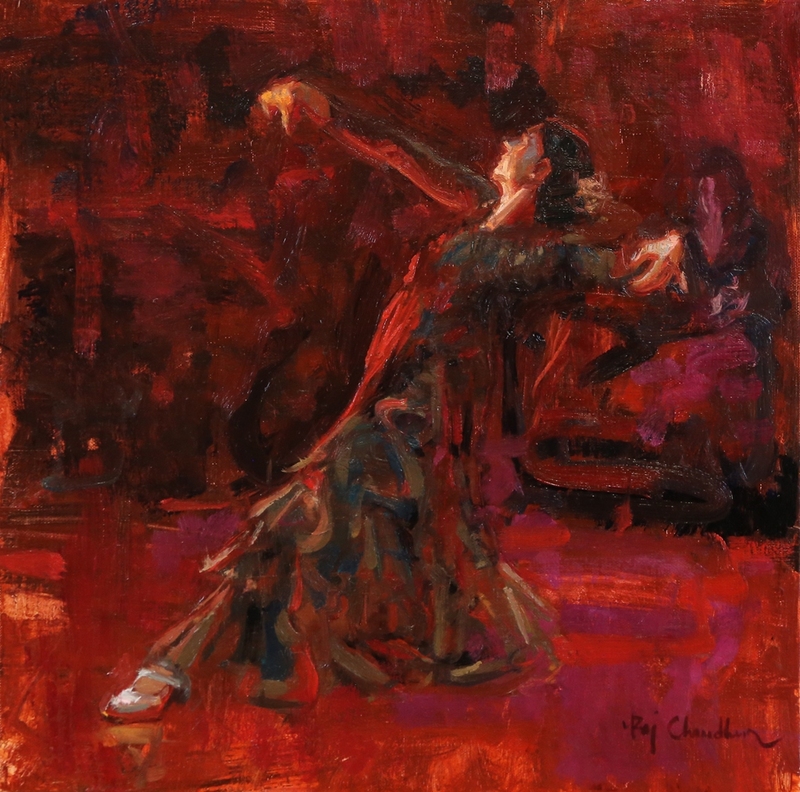 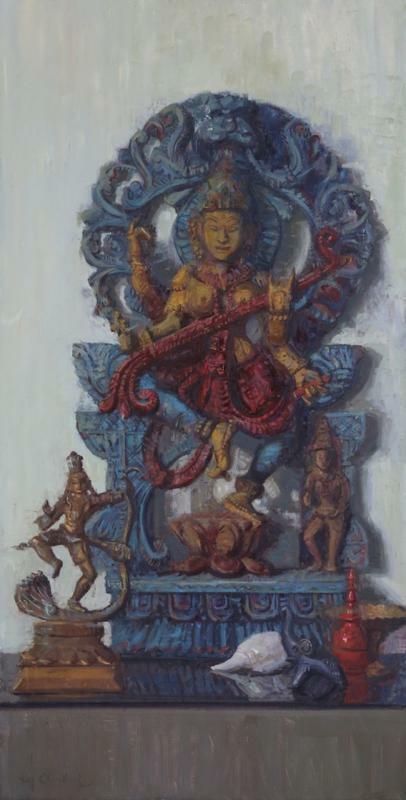 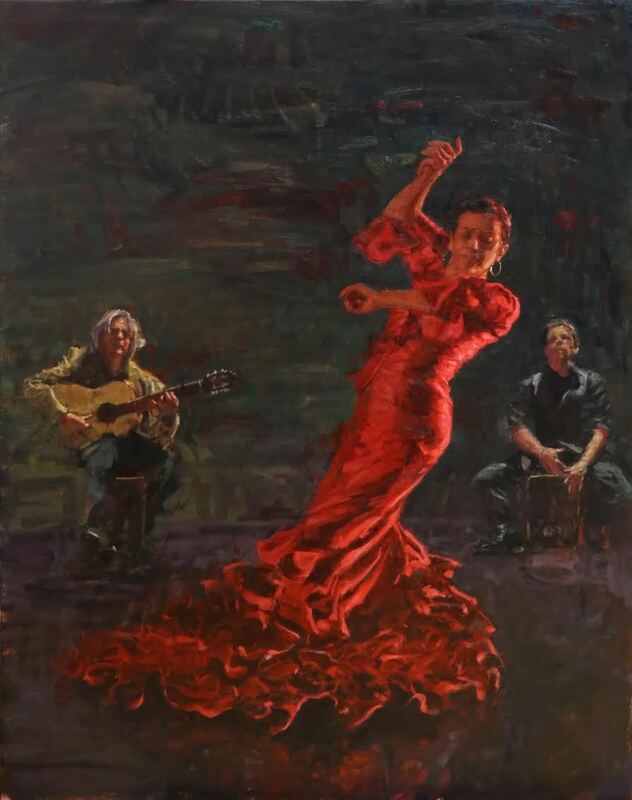 After moving to the United States, Chaudhuri received his art training in Denver, Colorado from masters such as Quang Ho, Mark Daily and Kevin Weckbach. 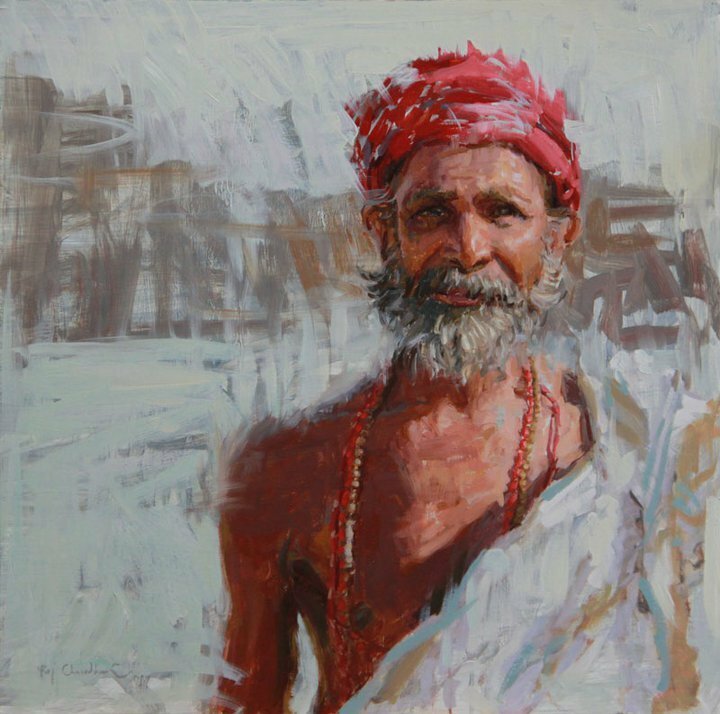 Chaudhuri is considered a technical painter, which is not surprising given his parallel career as a software developer and graphic designer. 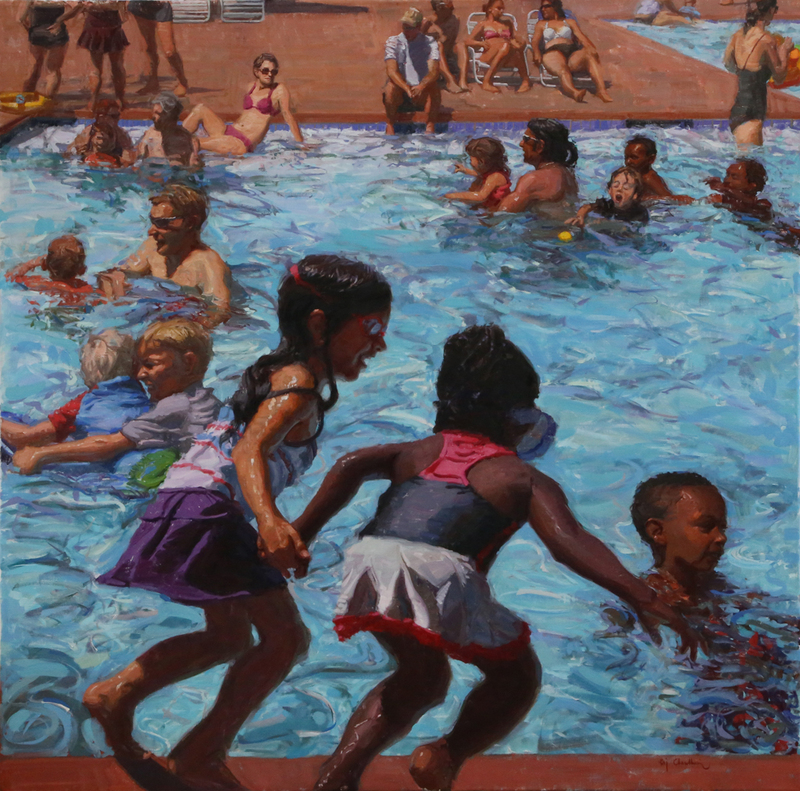 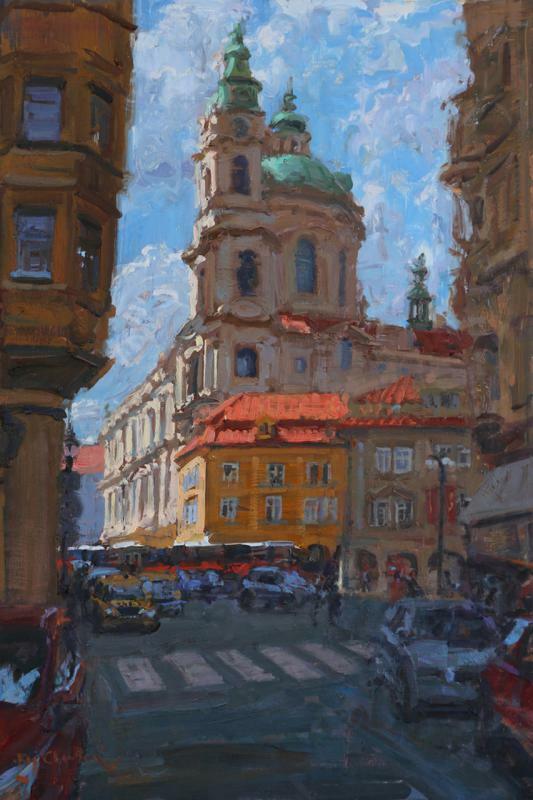 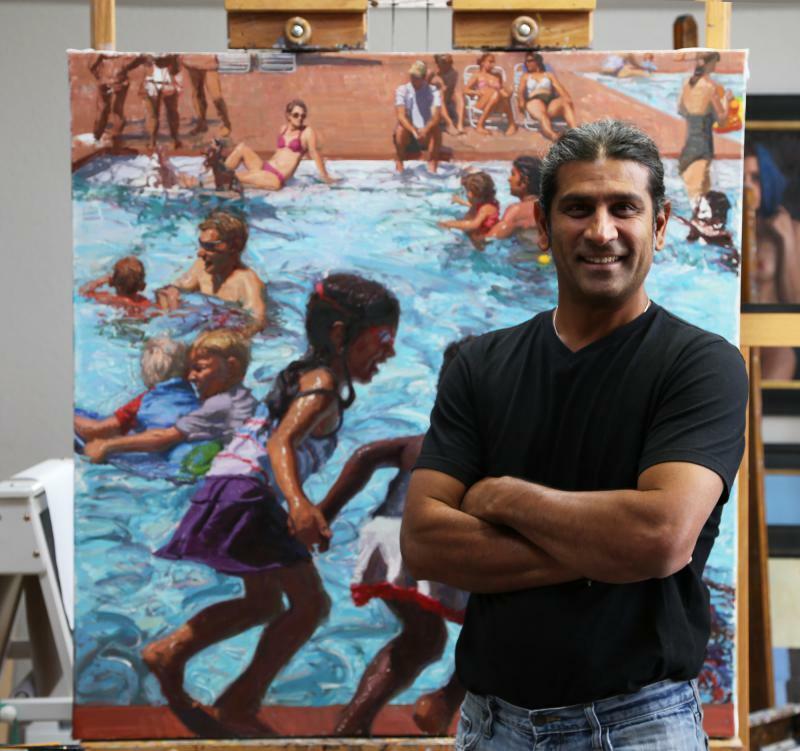 Raj paints the beauty of Prague, Calcutta and here at home in urban Denver. 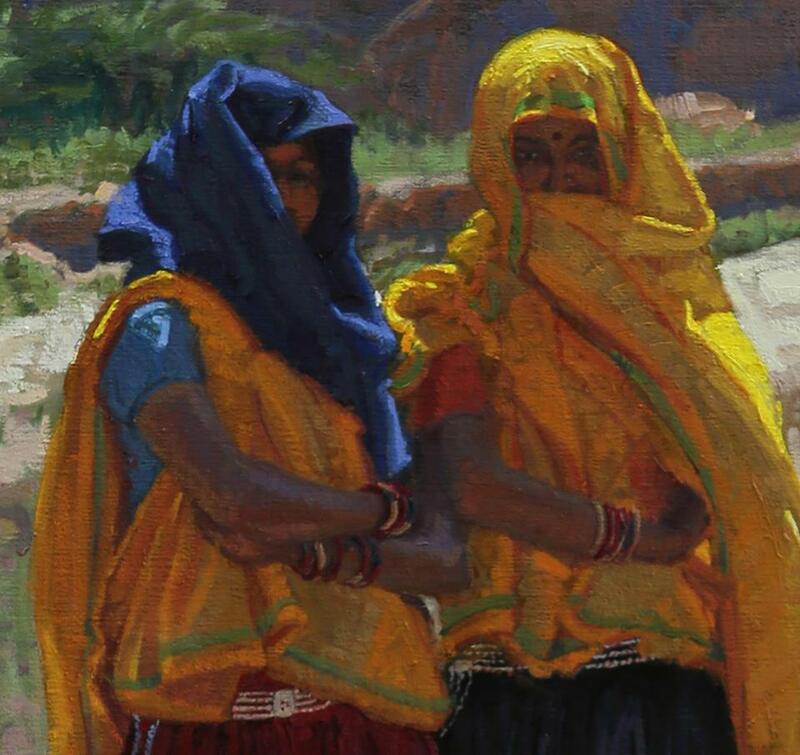 Painting is Ray’s passion engaging the art patron in his paintings through composition primarily focusing on richly colored landscapes, portraits and small village imagery. 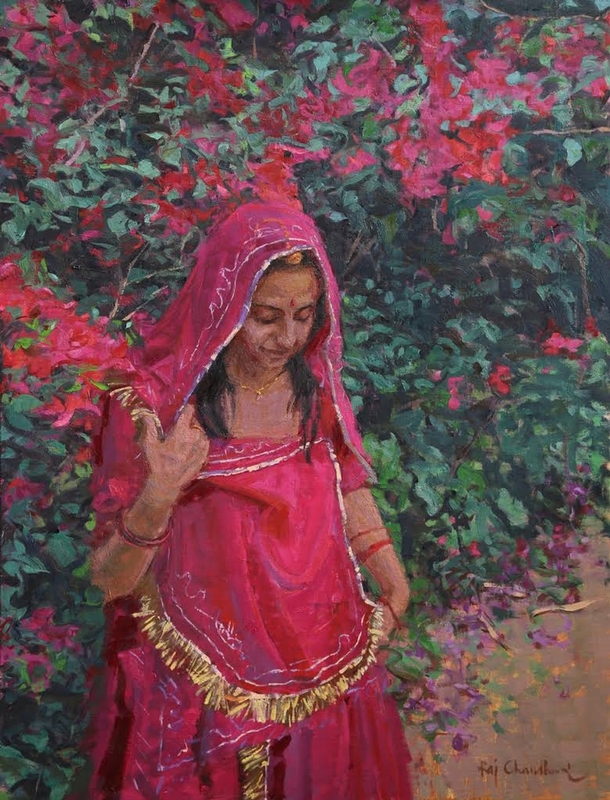 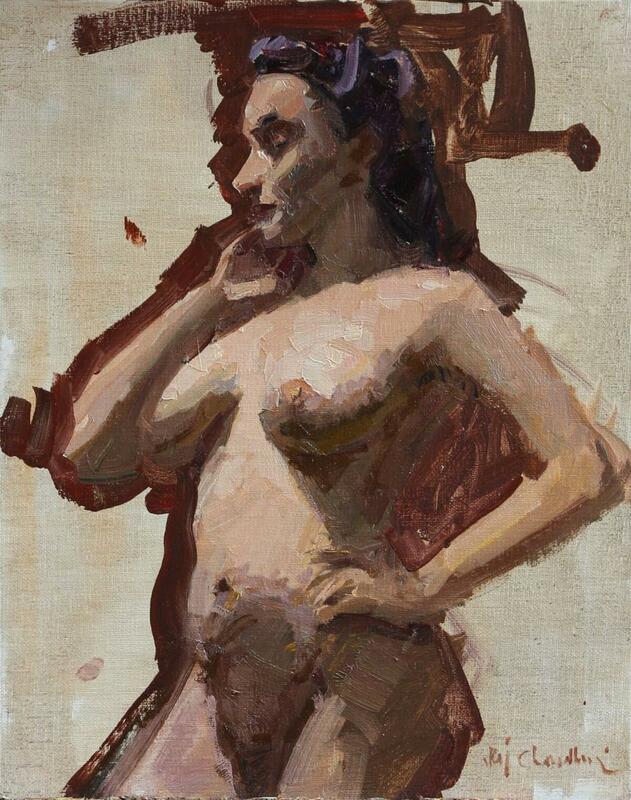 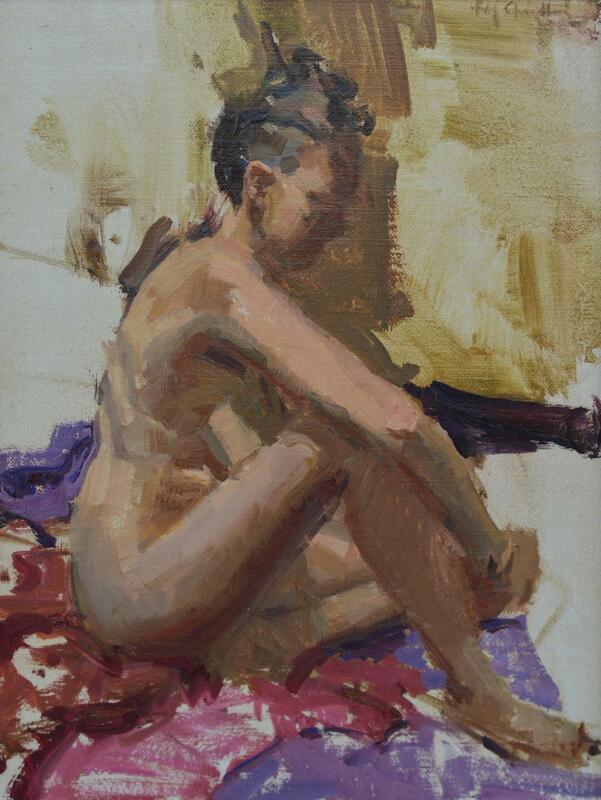 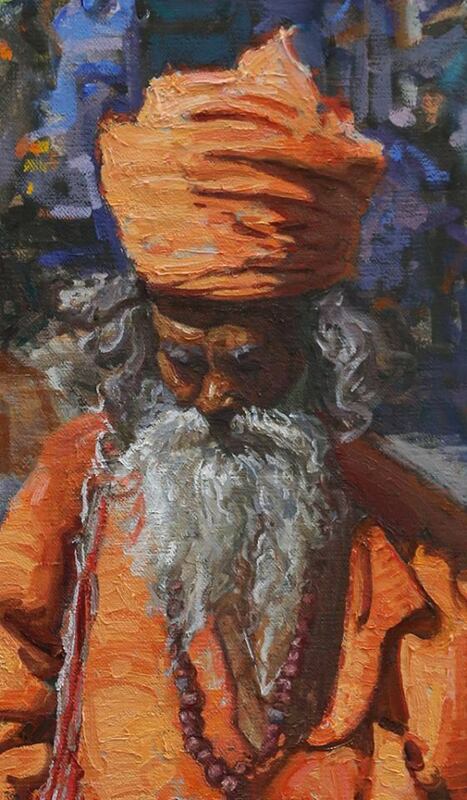 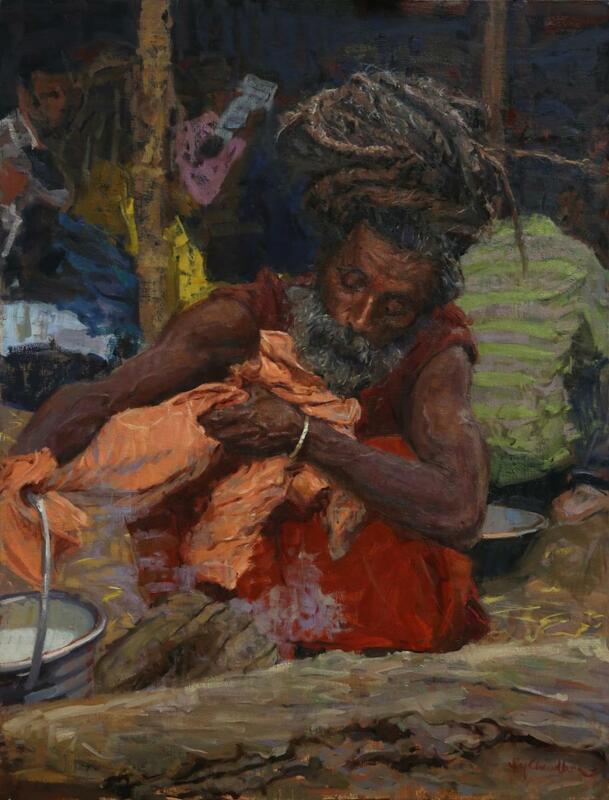 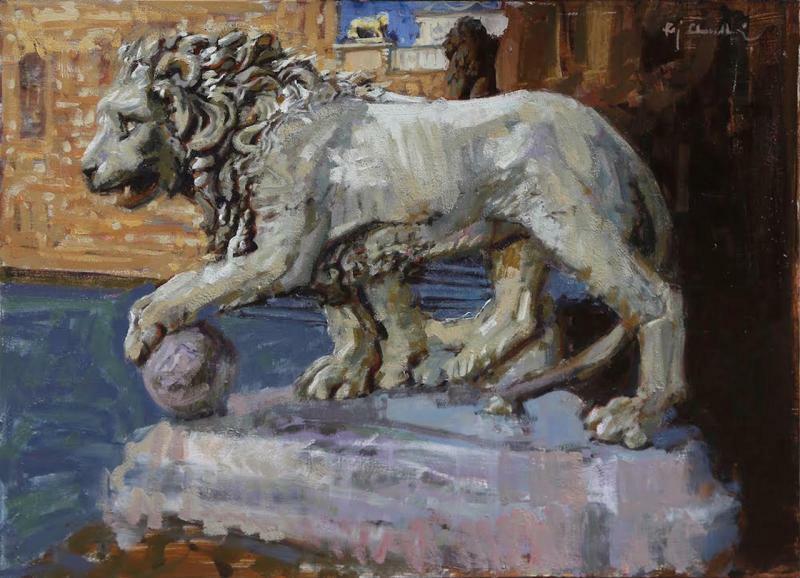 Raj has exhibited in the Oil Painters of America Invitational Show 2005 and most recently Salon International 2007. 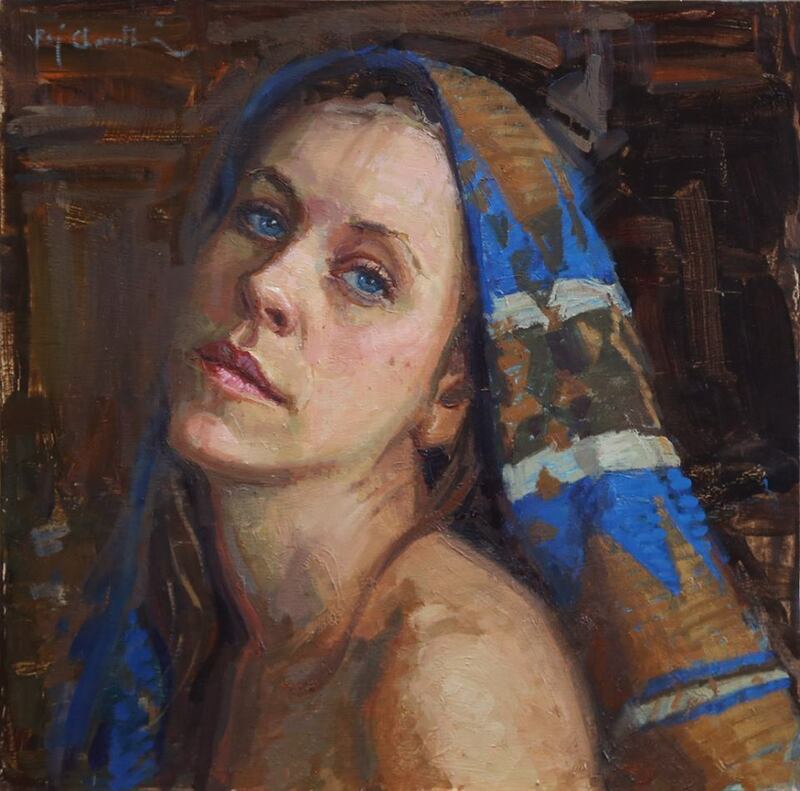 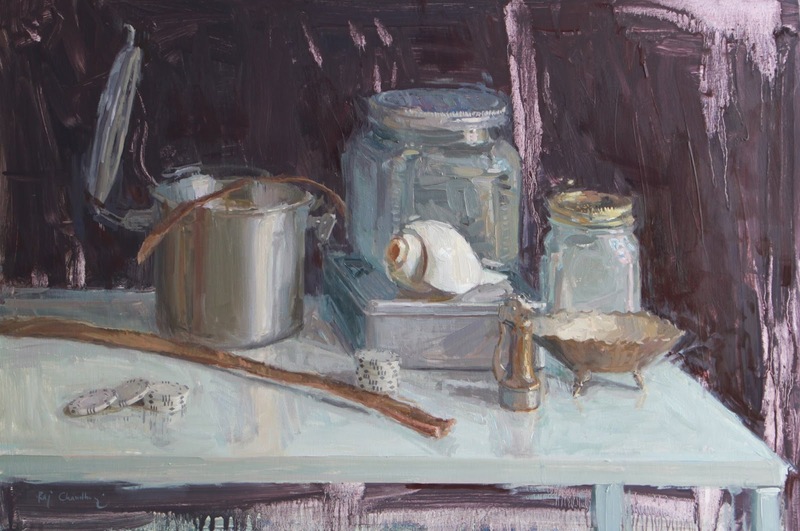 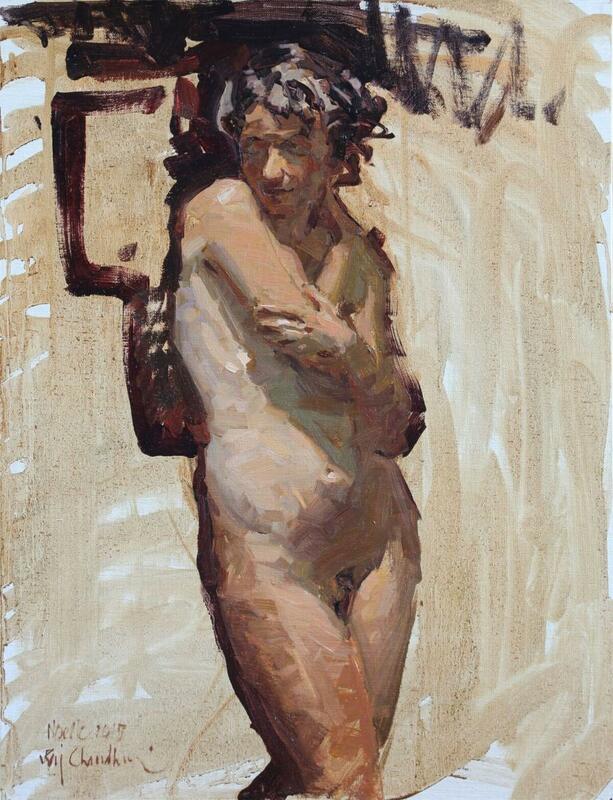 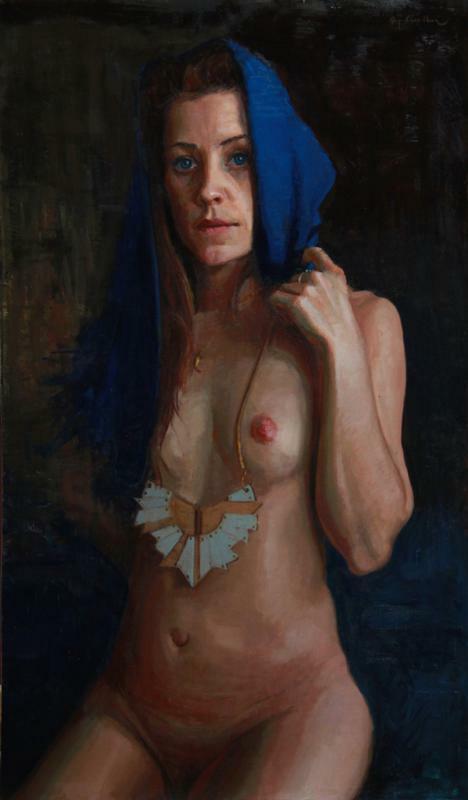 2012 - Oil Painters of America Western Regional Juried Exhibtion. 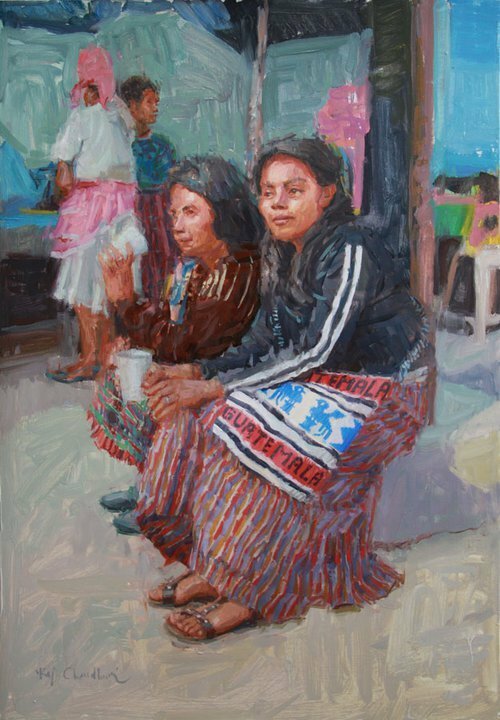 2010 - Salon International, Juror's Top 60 Award, National Juried Exhibition, Greenhouse Gallery San Antonio, Tx. 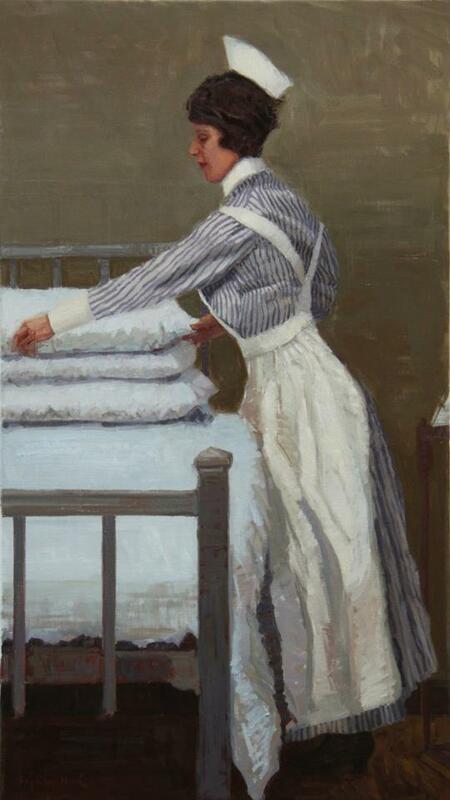 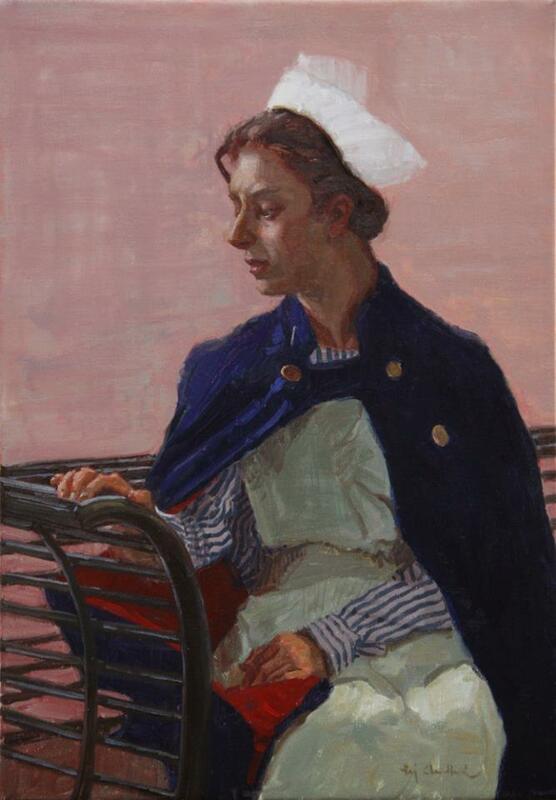 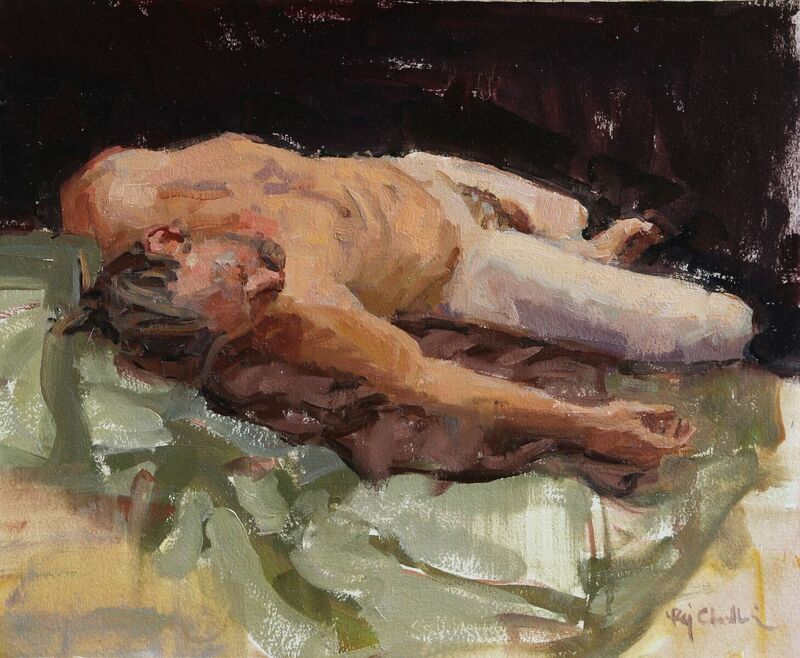 2007 - Salon International, Best Figurative Narrative Award. 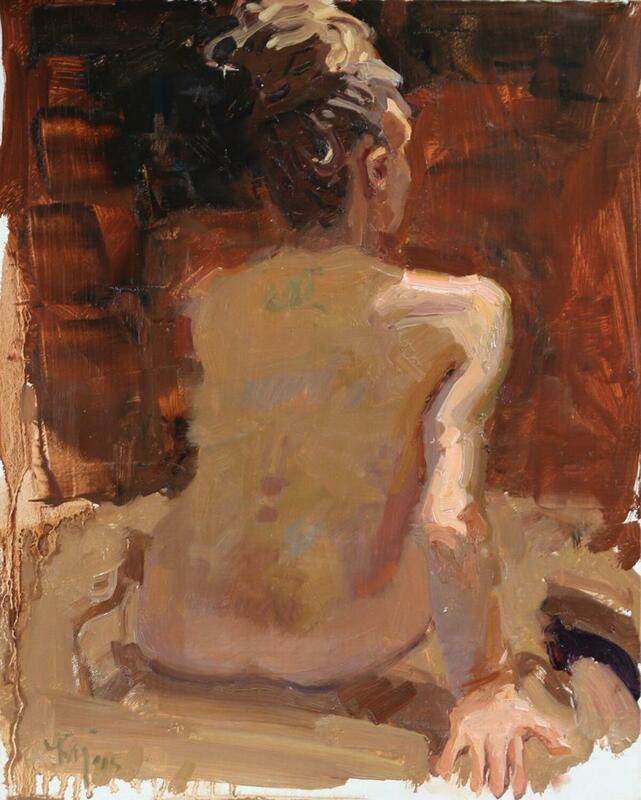 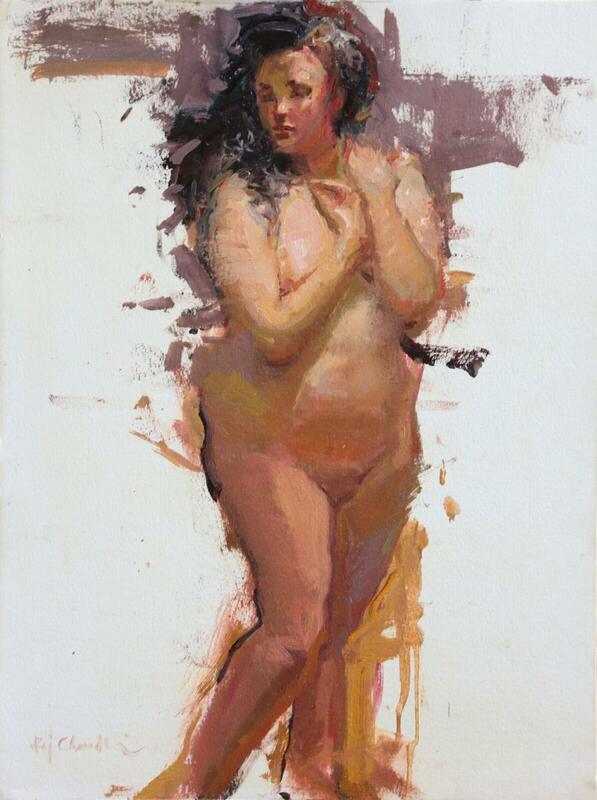 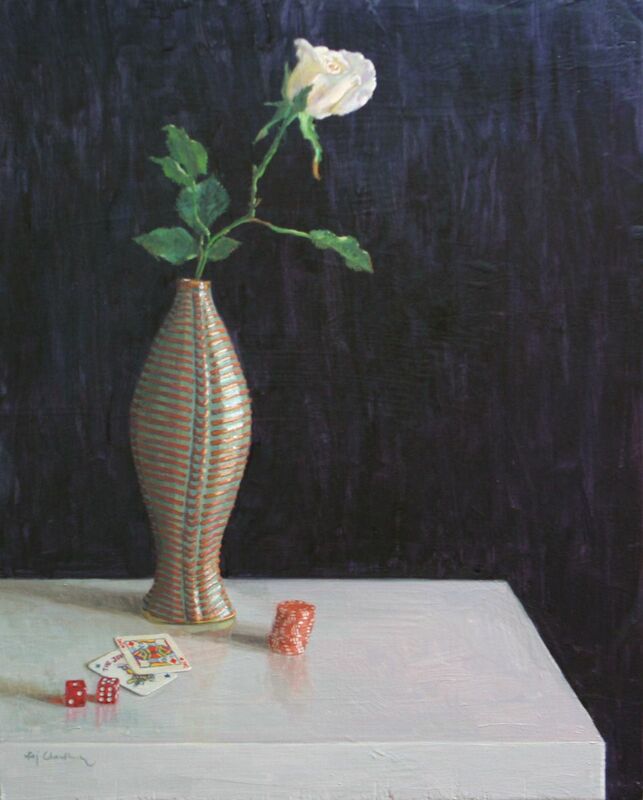 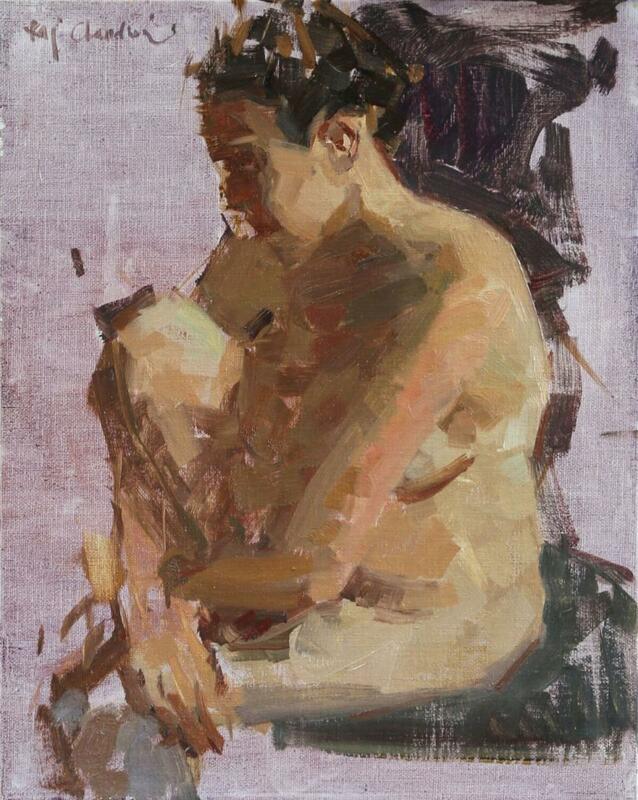 2004 - Oil Painters of America Award of Excellence, Zhiwei Tu, Seattle, Washington. 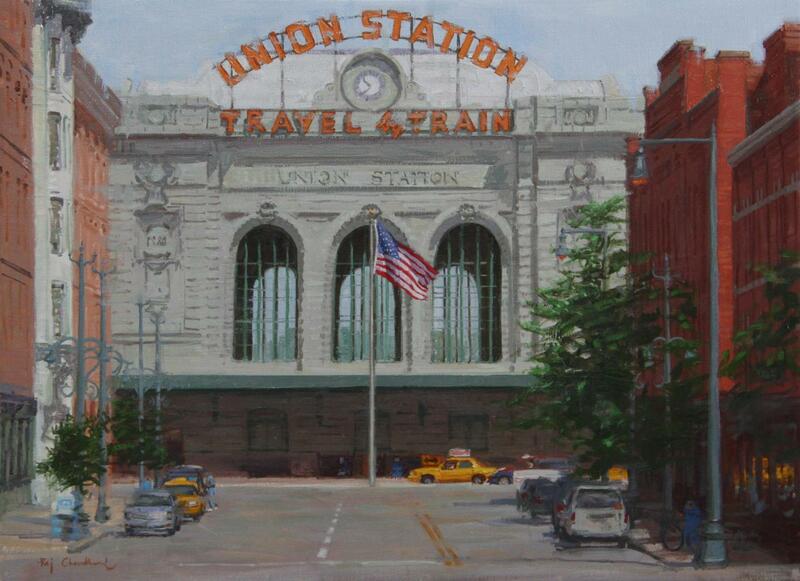 2003 - Art Students League Art and Soul Expo, Third Place Denver, Co.
2014 - Southwest Art Magazine Where They Are Now. 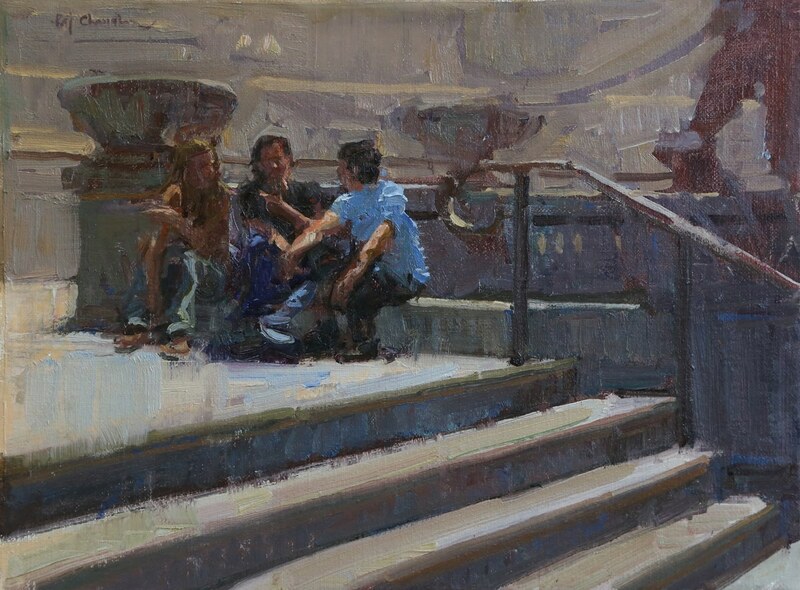 2012 - Oil Painters of America - Event Spotlight. 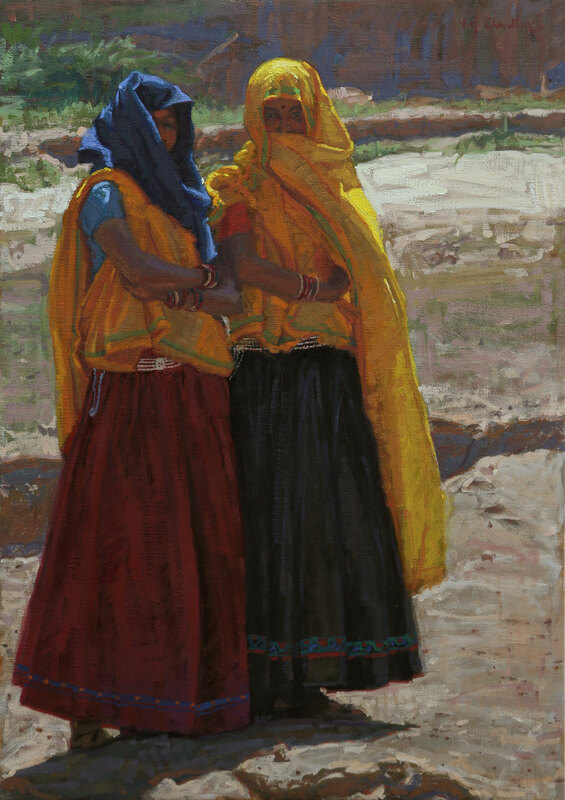 2010 - Southwest Art Magazine - Oct 2010 Featured Artist. 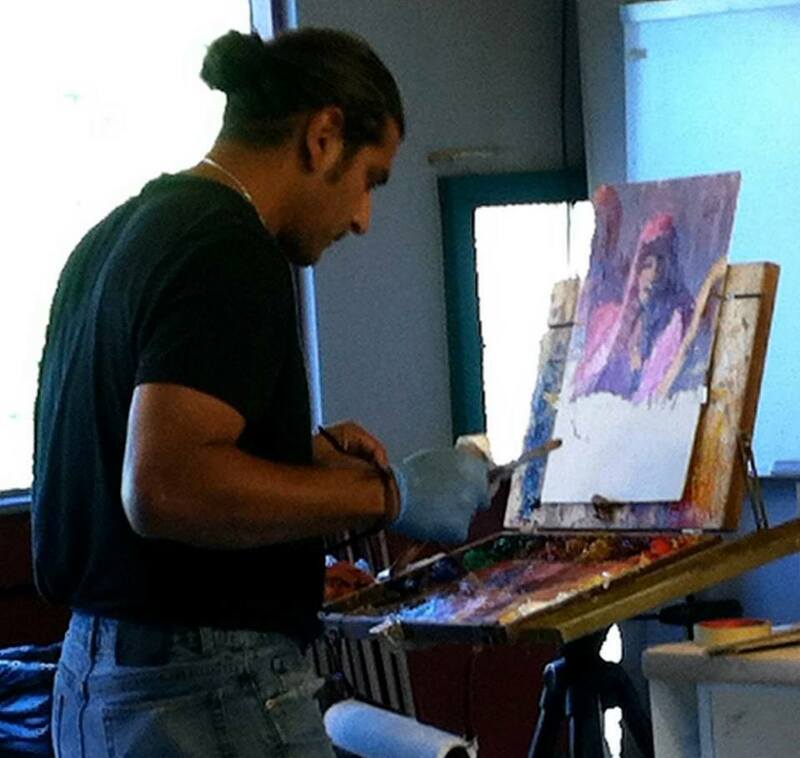 2006 - Southwest Art Magazine - April 2006 Artist to Watch.